Located in Denver, Colorado, it is home of the NFL Denver Broncos. Completed in 2001 at a cost of $400 million, it has a seating capacity of 76,125. 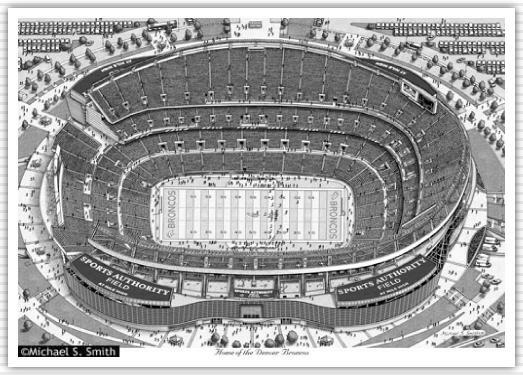 The stadium replaced Mile High Stadium, however the old stadium name still resides in the name: Sports Authority Field at Mile High.